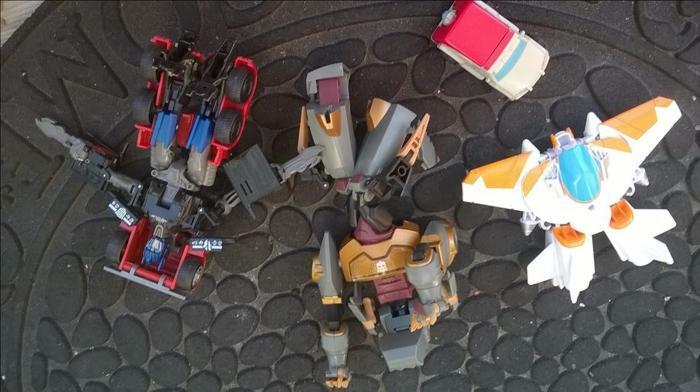 Lot of 4 transformers. $15 for all 4. If I knew how to put them back together you could see what they are more clearly! LOL. See other ads too. Thanks. Everything in the pictures is for this price. All are in excellent condition. Like new.